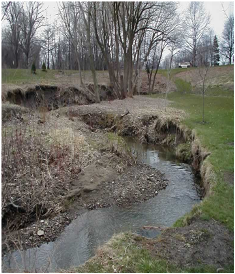 While many buffers protect stream health and water quality, they also benefit urbanized areas by reducing the amount of storm runoff pollution entering the streams. Construction and development have changed the natural environment. Roads, driveways, houses, businesses, and recreational areas like parks and ball fields have increased the amount of hard surfaces, reducing the ability of rainfall to soak into the ground. This increases the amount of runoff that flows directly into the bodies of water. 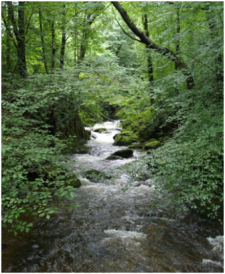 Buffers are natural filters for removing pollutants before they reach rivers, lakes, and streams. The wider the buffer, the more pollution is removed from storm water.